"They’re not sitting in rows, in desks with their heads down, hoodies on and their ear buds in. They’re actually engaged," said Career Pathways Coach Anna Koval of a recent student "Shark Tank" event held at Windsor High School. About 100 students participated, pitching their business ideas to local investors. Learn More. 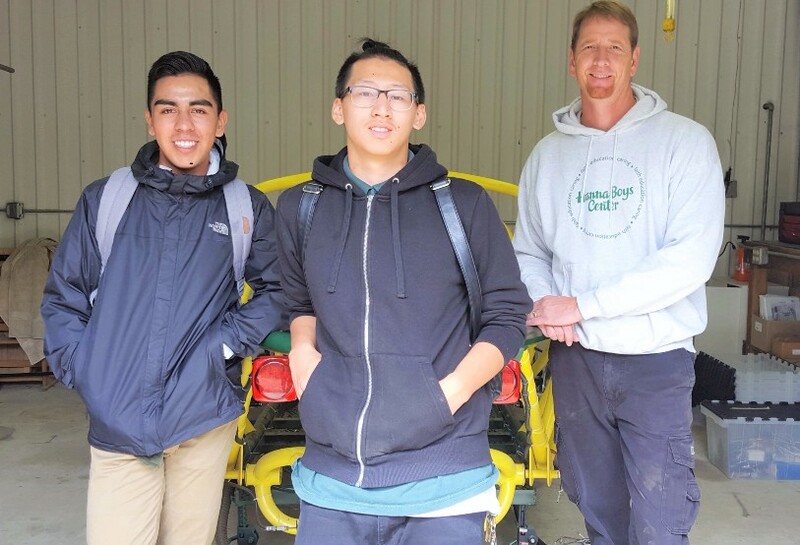 Learn about a partnership bringing electric vehicles to Sonoma County schools. Archbishop Hanna High School is one of the schools The CTE Foundation chose through a competitive grant-making process to receive one of four SWITCH Lab Kits in 2016. The kit provides curriculum and components for building a street legal electric vehicle, thus giving students a real world application for their coursework in Science, Technology, Engineering and Mathematics (STEM). Students are also exposed to concepts in Electricity, Alternative Fuels, Manufacturing, Science, Automotive Technology, and Clean Energy Generation while working through Common Core requirements. Read More or visit the CTE Foundation's Facebook page. On May 20, 2016 many High School CTE Programs were highlighted at an annual Spring Economic Forecast event attended by over 350 industry professionals. This event was so successful, with students showcasing their skills and knowledge they’ve gained in their high school pathway programs, that the Sonoma County EDB has decided to make this an annual event. Look for more high school CTE programs to be highlighted next year. This Press Democrat article features a partnership between SCOE, the CTE Foundation and Switch Vehicles to teach students how to build electric cars. This six-county initiative is continuing to support strong integrated career pathways from high school through Community College. Key developments include Early College Credit opportunities for high school pathway students, WBL opportunities, and guidance including the development of a Northern California Work Based Learning Manual and expanded industry partnerships with major corporations such as Sun Power and Kaiser Permanente. Check out the NCCPA’s website at http://www.ncpathwayalliance.org.